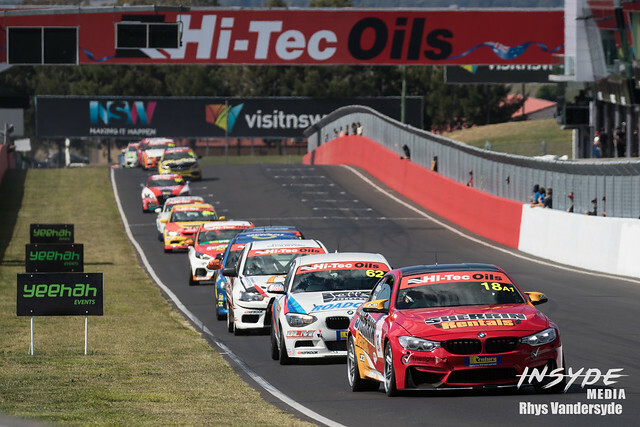 It’s one thing to capture a series of photos that tell the story of the race, it’s entirely something else to capture that one photo that tells that same story, especially at Mt Panorama. The mountain is one of those places that has this unique way of creating this intense action each and every race. Then in the closing moments something happens that really changes the result. 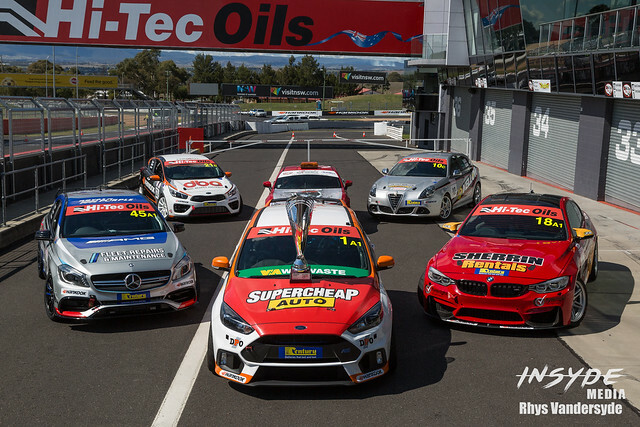 You only need to look back on the last couple of Bathurst 1000s and Bathurst 12 Hours for examples. However capturing those race changing moments has always been tricky. 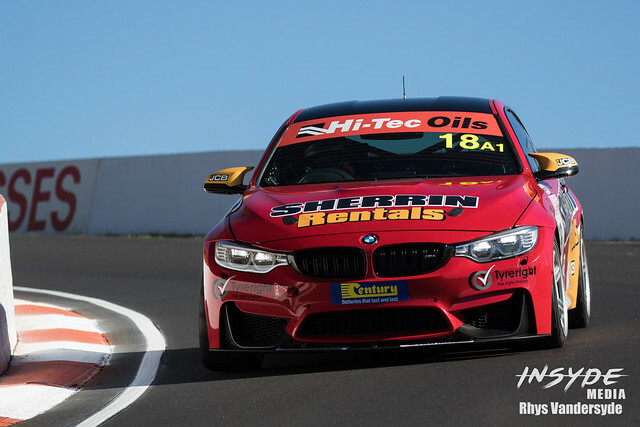 At 6.2 kilometers and 23 corners, Mt Panorama is the longest track I visit, and I can’t be everywhere at one. Especially when the race changing moments happen as I’m getting ready to capture the chequered flag finish (one of the key photos in telling the story of race). 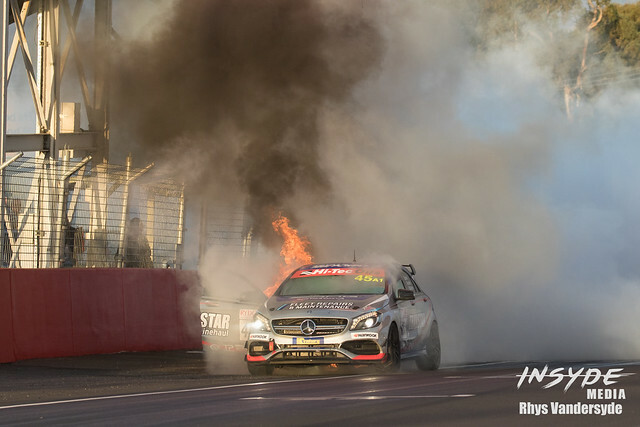 So when Craig Bairds’ Mercedes burst into flames in front of me during the Bathurst 6 Hour, it was purely a matter of being in the right place at the right time. Luckily for Craig he got out of the car ok, and the firies got to the fire out quickly. Both will back to challenge another day. And I got the photo, and it was one of the major moments that changed the outcome of the race. 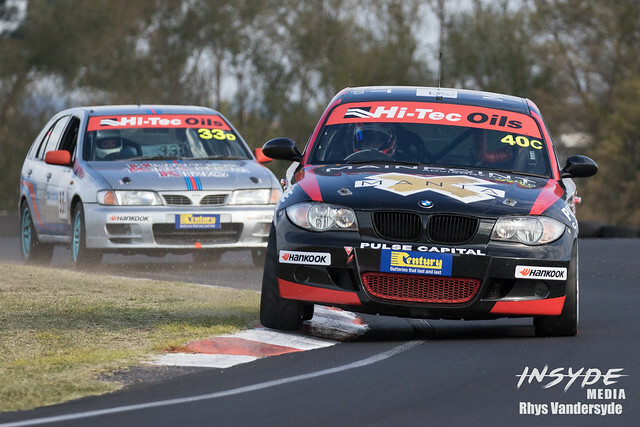 Here are a couple more of my favourites from the Bathurst 6 Hour. You can find a few more over at InSyde Media. 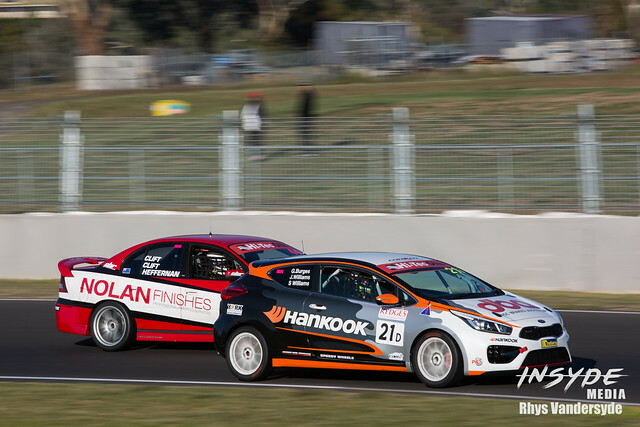 That wraps up my second trip to Mt Panorama for the year, I should have two more this year. But before that, my next stop will be Perth for the fourth round of the Virgin Australia Supercars. Make sure you keep an eye on my social media to find out which events I’ll be covering next: Facebook, Twitter and Instagram.